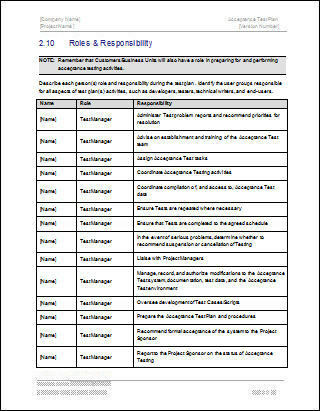 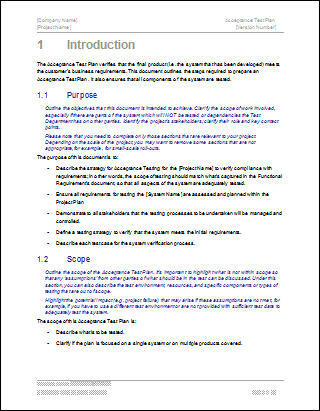 Use this template (MS Word 21 pages) to validate that the software meets the agreed requirement. 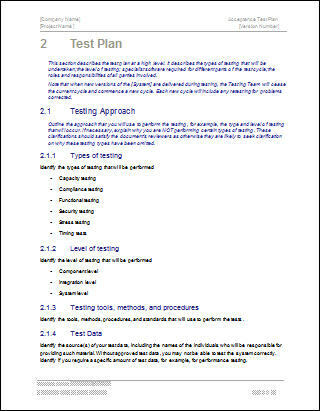 Describe the capabilities being tested and which requirements were verified by this test. 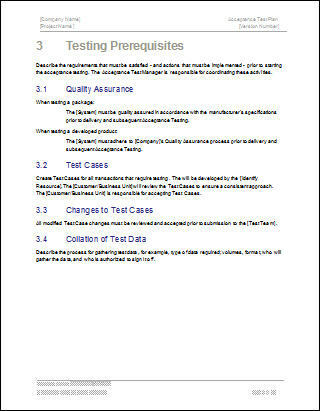 Outline test preconditions, steps, and post-conditions. 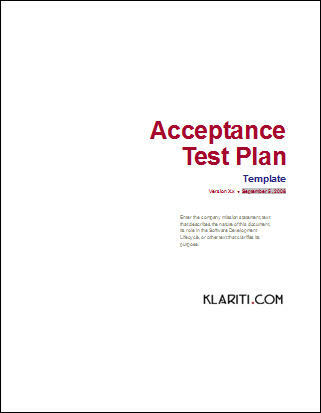 You can use this Acceptance Test Plan template to verify that the software you developed meets your customer's requirements. 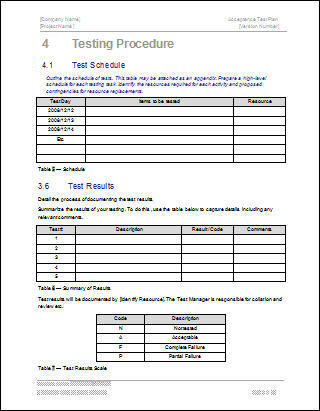 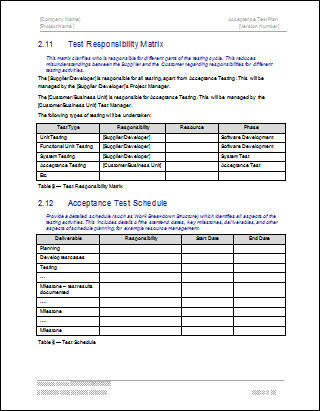 Use this Acceptance Test Plan template (MS Word 21 pages) to validate that the software meets the agreed requirements so your Customer can accept this deliverable. 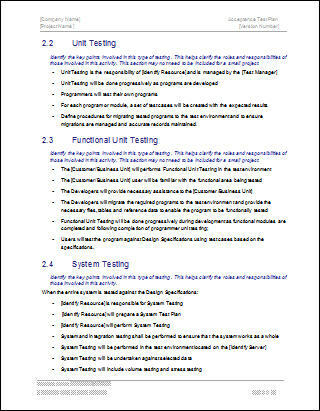 What's included in the template pack? 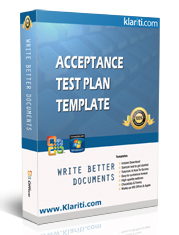 The template is in Microsoft Word format (.doc) and can be downloaded online for only $9.99.